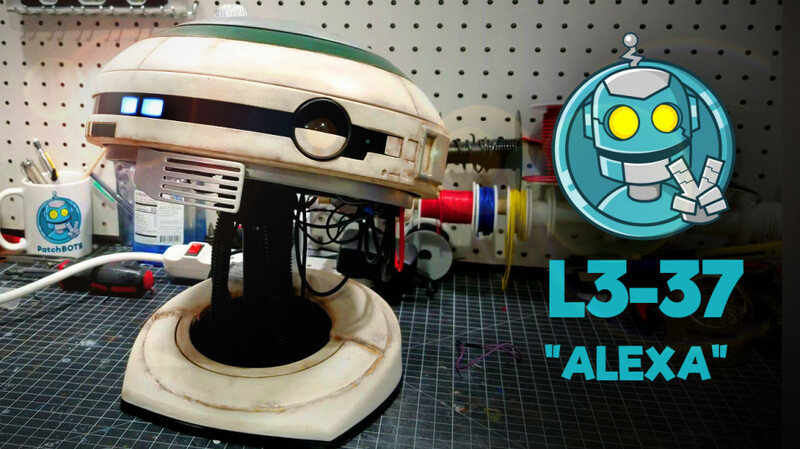 Build your own L3-37 droid complete with voice interaction #piday #raspberrypi @Raspberry_Pi #MakeRobotFriend « Adafruit Industries – Makers, hackers, artists, designers and engineers! Robot maker Patrick Stefanski has created a 3D-printed – and animated – model of L3-37, the droid in the recent Solo movie. L3-37 is one of the funnest – and woke – droids in recent memory and this recreation is fun and ingenious. The version you see above is painted and weathered but you can 3D print your own pristine version from here and then add in a Raspberry Pi and Arduino with a simple servo to control the head motion. In all it looks like a lot of fun and the hardest part will be printing all of the larger head parts necessary to recreate L3’s saucer-like dome. Read more and check out the project on YouTube and GitHub!